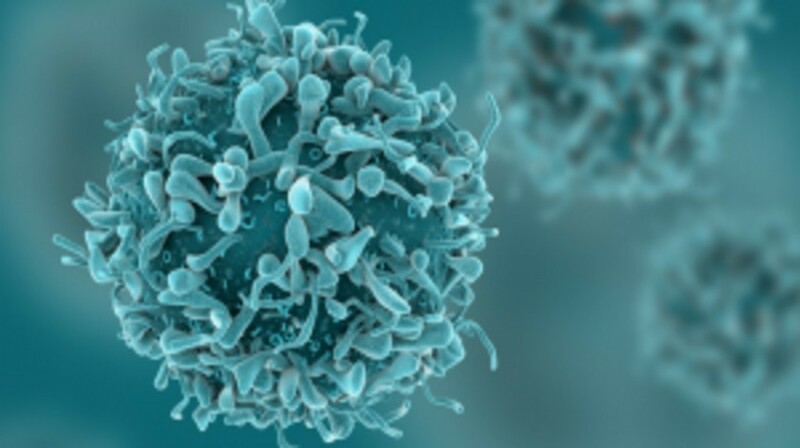 A recent clinical trial conducted by researchers at Massachusetts General Hospital (MA, USA) reports a positive treatment response to a novel immune system-based cancer therapy. Treatment with chimeric antigen receptor (CAR) T-cell therapy induced complete remission of a brain metastasis of the tumor diffuse large-B-cell lymphoma (DLBCL), which had become resistant to chemotherapy. CAR T-cell therapies utilize T-cells genetically engineered to bind to a specific antigen on target cancer cells. This clinical trial reports the testing of JCAR017, which targets the CD19 protein expressed on most B-cell leukemias and lymphomas. The patient, described in the letter to the New England Journal of Medicine, was a 68 year old woman with DLBCL, an aggressive cancer that can develop in many types of tissue. The patient had failed to respond to both conventional chemotherapies and stem cell transplant. After enrolling in the study, a new lesion in the right temporal lobe of the patient’s brain was discovered. Follow-up imaging 1 month after the study demonstrated complete remission of the brain lesion. The subcutaneous lesion that recurred 2 months later disappeared after the biopsy with no further treatment. Further blood testing showed an expansion in the numbers of CD19-targeted CAR T-cells that coincided with the tumor’s regression. Additionally, re-expansion of CAR T-cells has been reported in response to other immunotherapy drugs. Interestingly, 2 months after CAR T-cell therapy, a subcutaneous tumor began to recur. Surgical biopsy revealed the CAR T-cells spontaneously re-expanded and the tumor again went into remission. Unfortunately, the patient eventually relapsed and died more than a year after CAR T-cell therapy; however, the brain tumor never recurred. The team concluded that the discovery of the mechanisms behind the reactivation of CAR T-cells could further develop their efficacy.